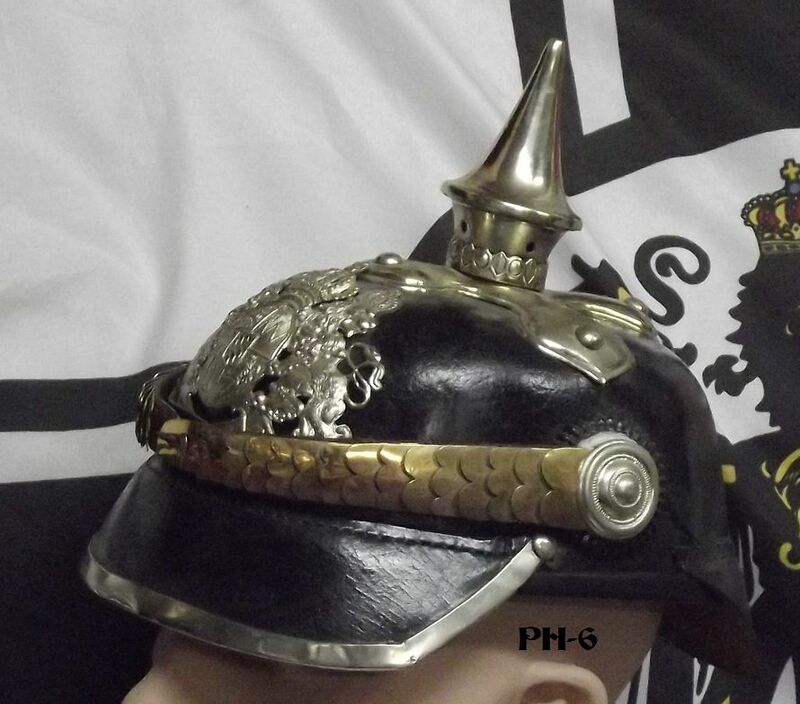 for a additional charge, Please contact us if interested! 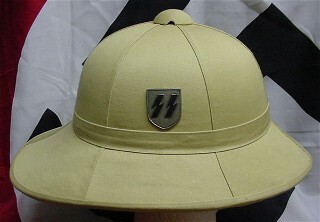 charge, Please contact us if interested! 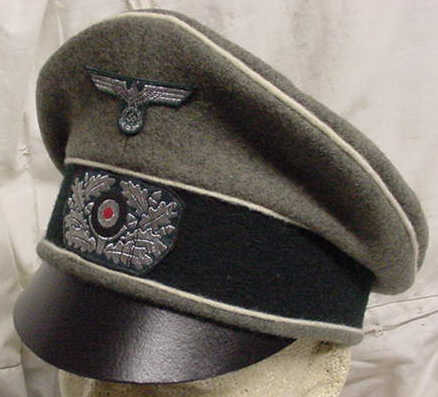 Beautiful Field Grey Wool SS-Generals visor Hat with 3. 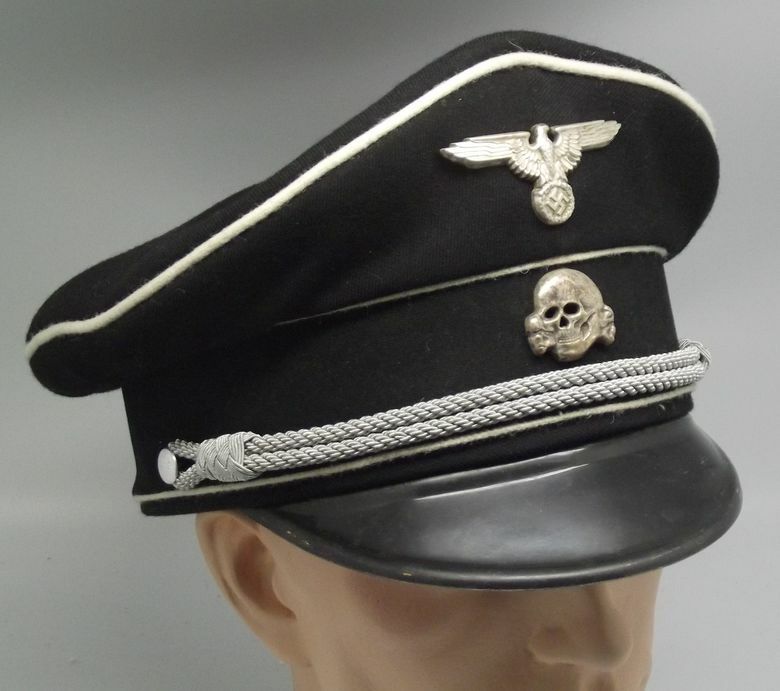 Silver Pipings, Black Velvet Cap Band, Silver Twisted Chin Strap with 2. 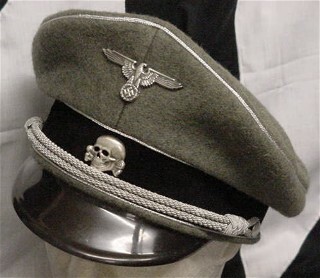 Pebbled Chin Cord Buttons, Gold Satin lined, with Maker Markings, and Super Heavy Detail Metal Eagle & Skull Cap set. 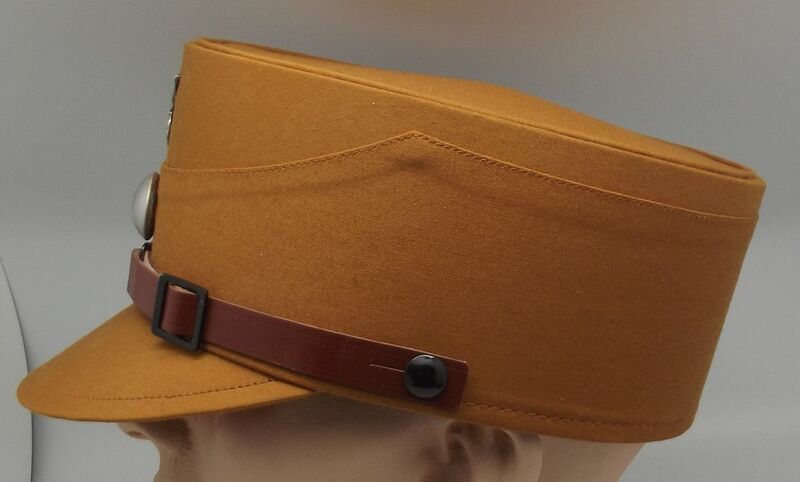 "Think you'll get this high detailed quality cap set from the Competition?" 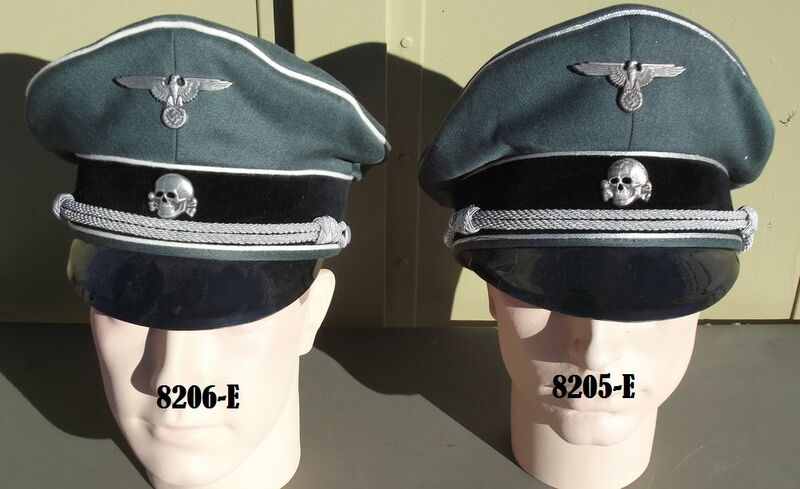 Erel markings, Please contact us if interested! 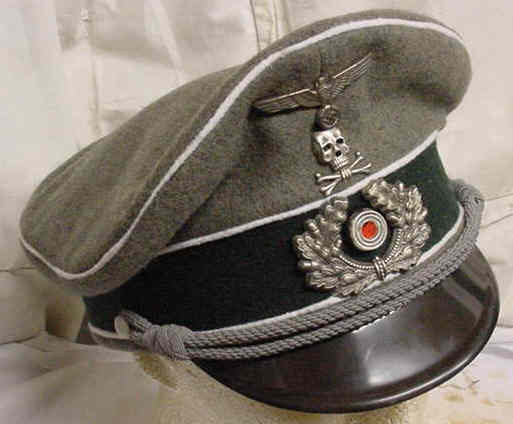 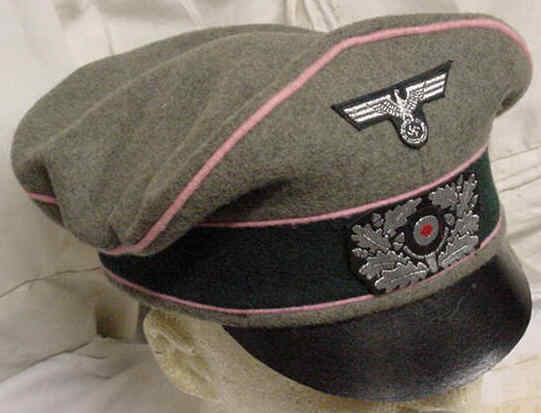 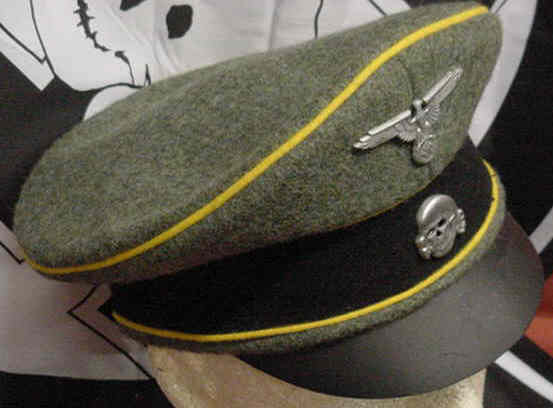 8207 WAFFEN-SS OFFICERS "CRUSHER" HAT: Beautiful Field Grey Wool SS-OFFZICERS "Crusher" Hat with 3. 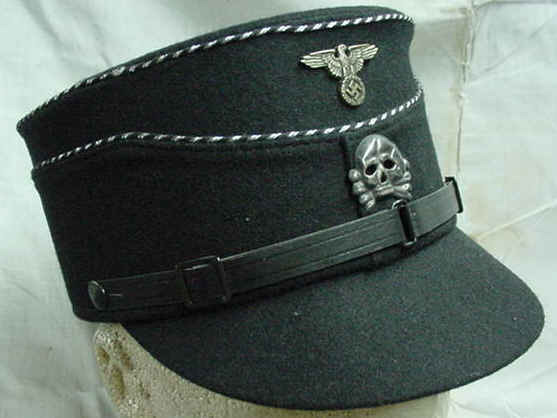 PINK Pipings, Black Velvet Cap Band, with Maker Markings, and Super Heavy Detail Metal Eagle & Skull Cap set. 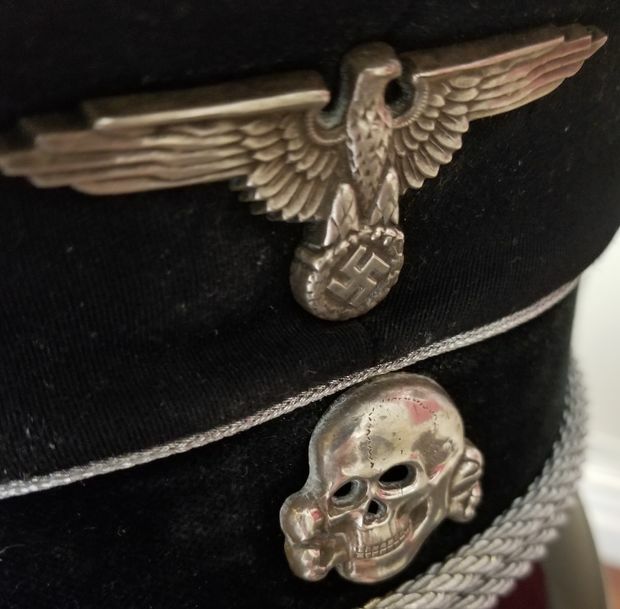 "Think you'll get this high detailed quality cap set from the Competition?" 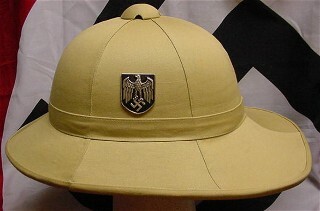 & Hand Embroidered Cap Sets for Crushers Caps. 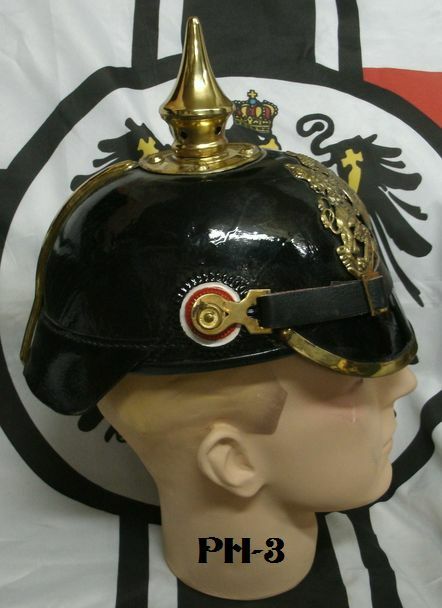 with Three Gold Pipings, Cream Satin Lining, with many famous Wartime Logo's of your choice, Gilt Metal Cap Eagle, with Wreath & Cocade, Gold Cap Cord. 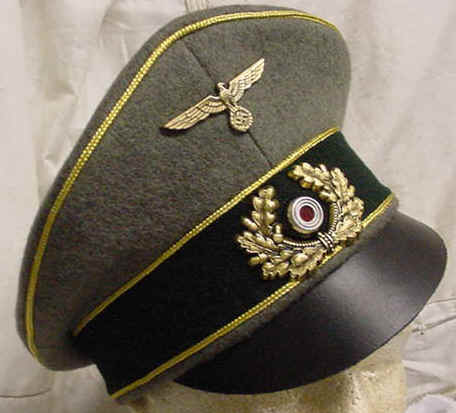 For an addtional charge we can provide your visor with the Highest Grade Hand Embroidered Bullion Cap Insignia, & also provide the Visor with many famous wartime logo markings, Please contact us if interested! 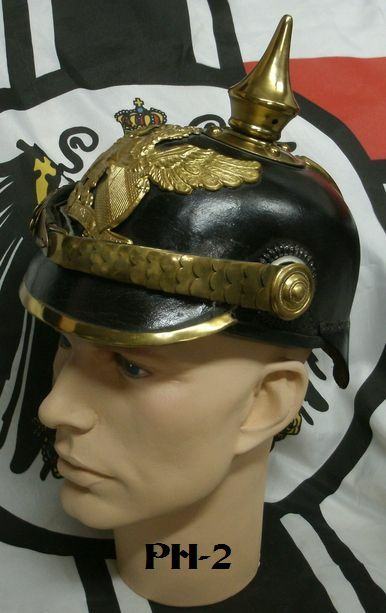 with Gold Metal Cap Eagle & Wreath & Cocade. 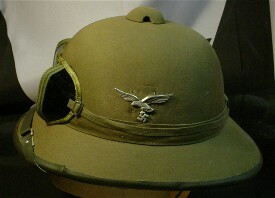 Bullion Cap Insignia, & also provide the Visor with many famous wartime logo markings, please contact us if interested ! 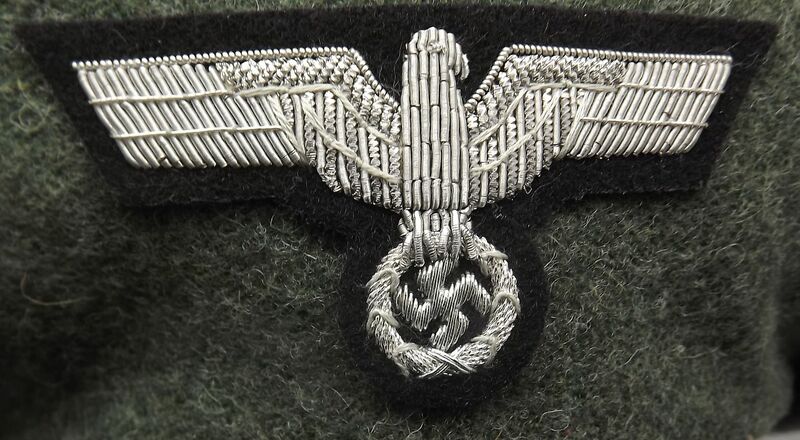 Insignia for EM or OFFICERS to your cap. 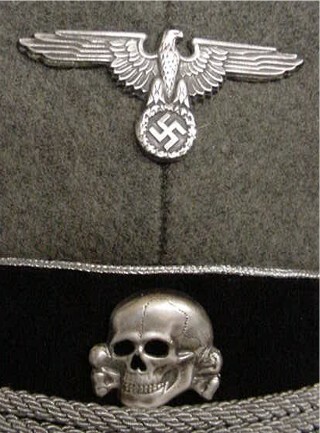 Cap Eagle, & Silver Metal Wreath & Cocade. 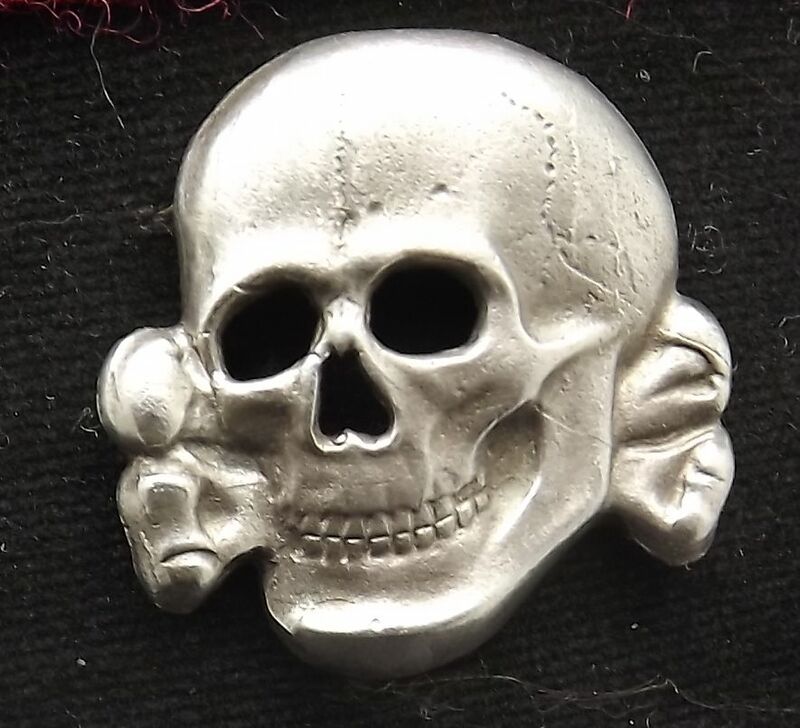 Brunswick Skull or other special insignia device! 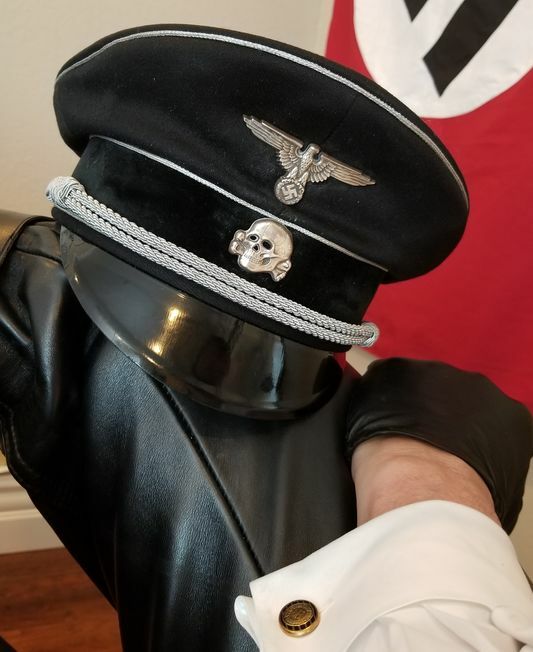 Please contact us if intereseted! 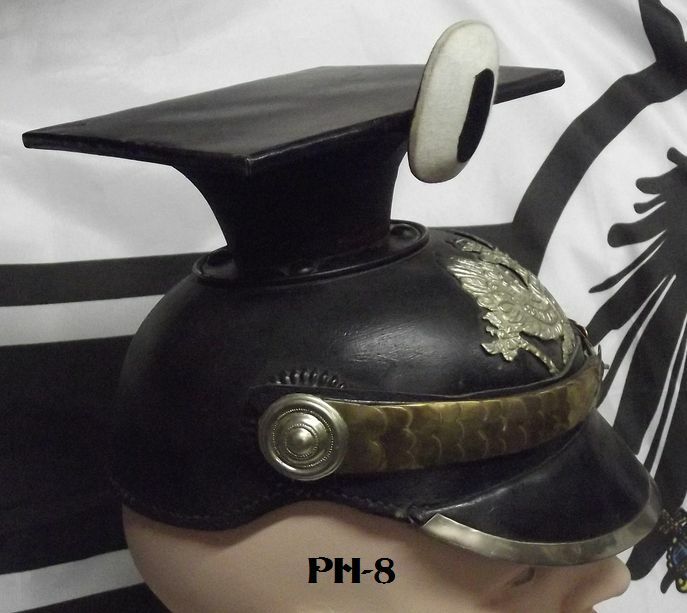 Pattern Wreath & Cocade Cap Sets! 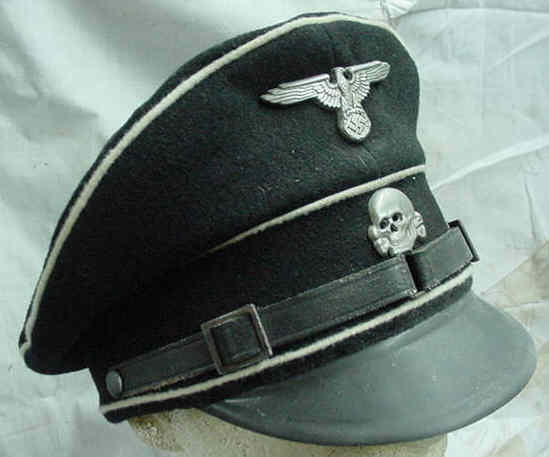 Panzer Skull or other special insignia device! 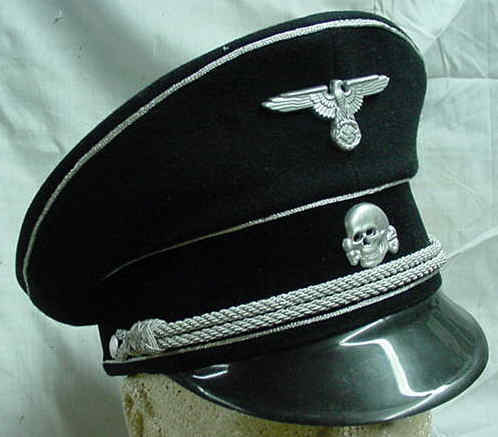 Logo, Hat Size, & Year Date of your choice. 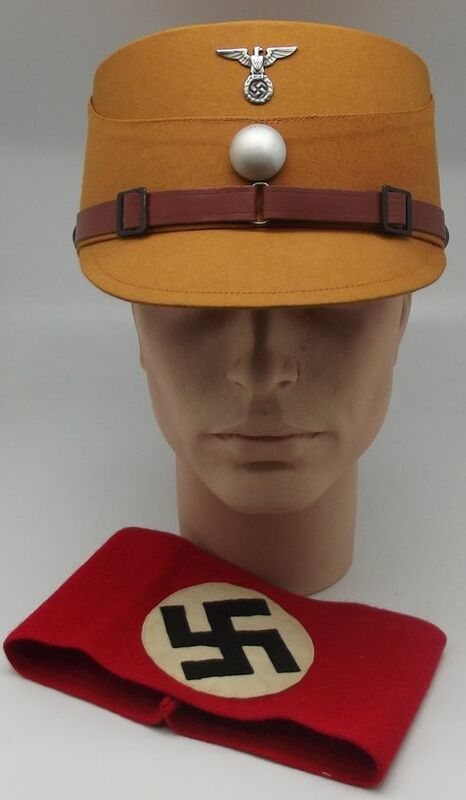 ACHTUNG! 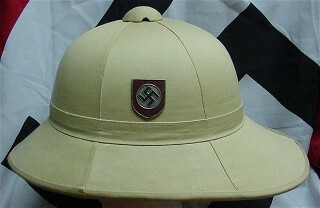 DAK TROPICAL PITH HELMET ACHTUNG! 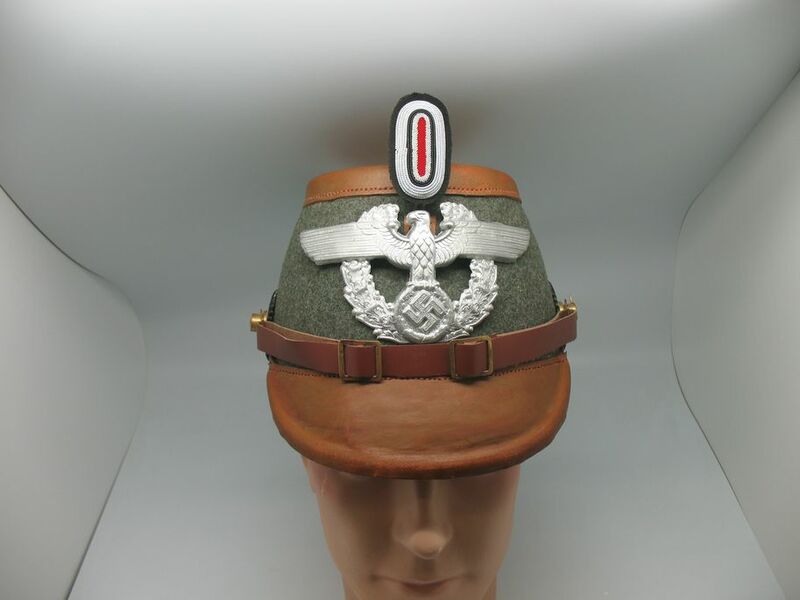 For over 20 years we have heard one feather Merchant intone how they were going to do some kind of Tropical Pith Helmet for Afrika Korps, Blah, Blah, Blah. 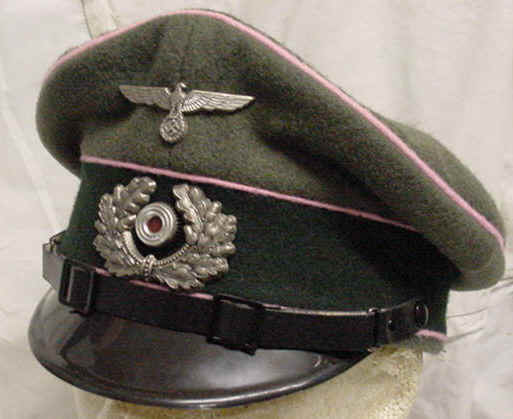 After 20 year we got tired of hearing the jive Daddy-0 beat to the bar, and just did it ourselves! 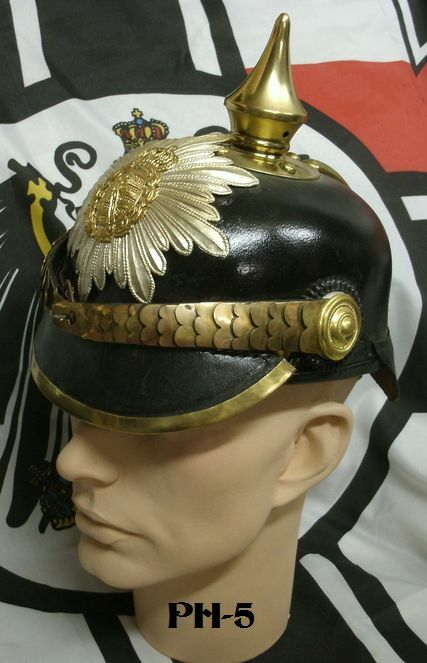 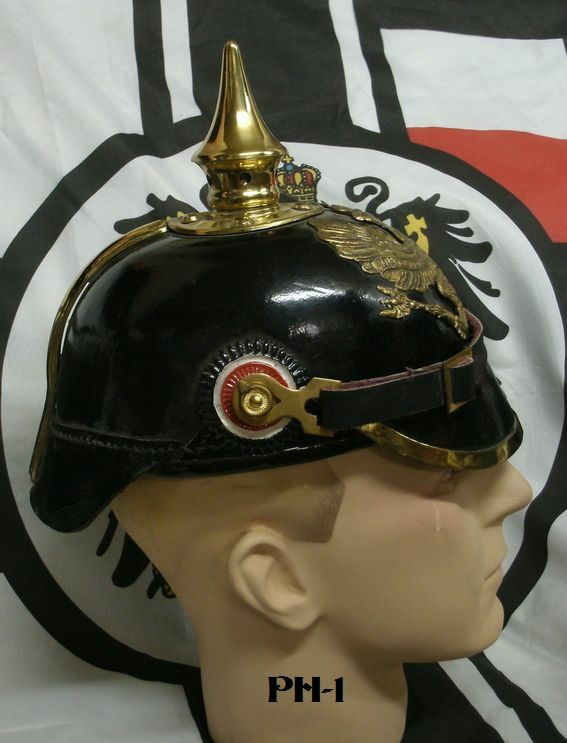 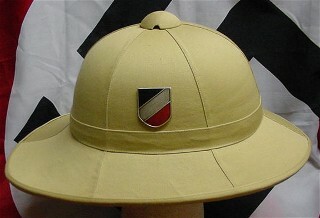 We have modeled it after the Italian Style Pith Helmet as it was used by both German and Italian Forces in Afrika, and because it has more flare in the back of the Lobster Tail! 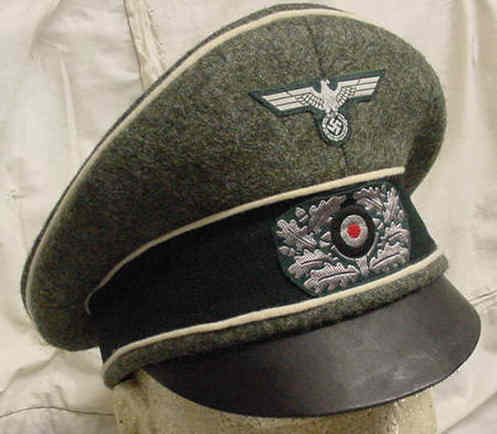 in a hindu séance we received permission from the "FUHRER" to make some modern day adjustments, which are as follows! 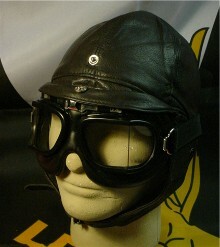 1.st the inside has a web lining, so your head does not hit against the top of the helmet allowing air to circulate better. 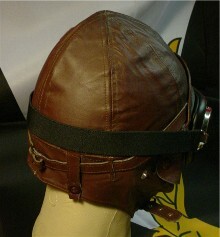 2nd we made it with an adjustable Leather head band liner so "ONE SIZE FITS ALL". 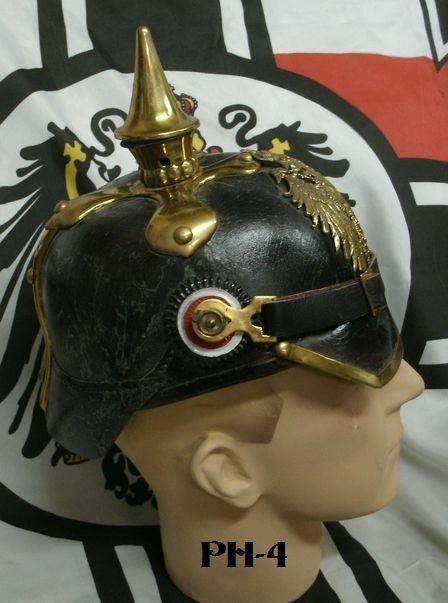 IT LOOKS GREAT, AND IS GREAT. 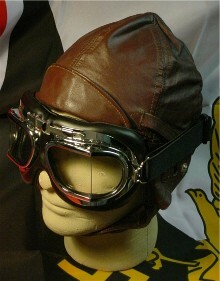 only thing lacking at this time is the leather chin strap but we are working on getting that finished too. 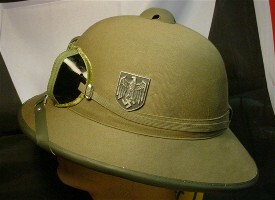 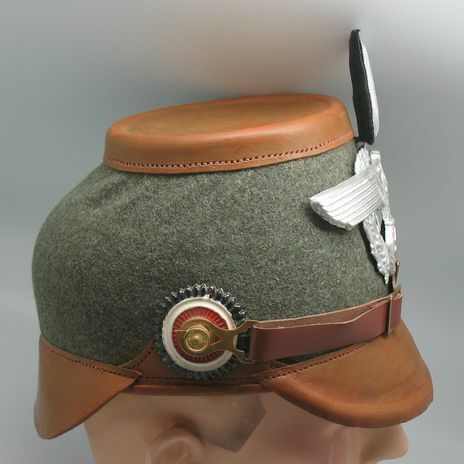 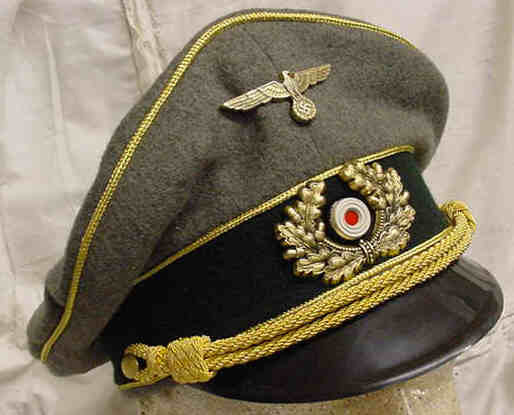 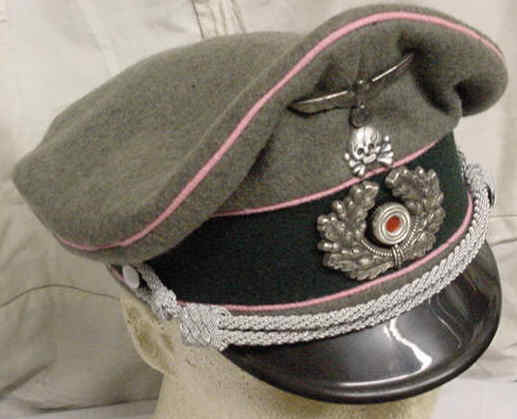 We also have them now in the OLIVE DAK GREEN COLOR, and are offering these for Wehrmacht, Luftwaffe, SS, & Kriegsmarine, & will be working the Italian style Pith Helmet up also for different Regiments of the Italians as well. 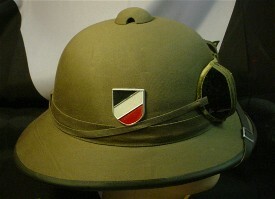 We are also throwing in a FREE pair of Desert Dust Goggles with each Pith Helmet you buy!!!! 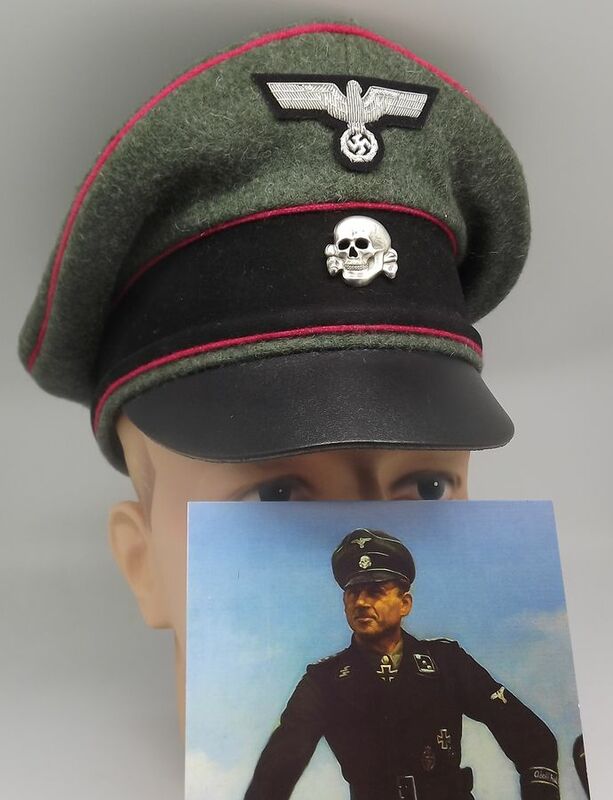 These will defiantly make a major big difference for finalizing your Tropical impression, or a great addition to your War Room! 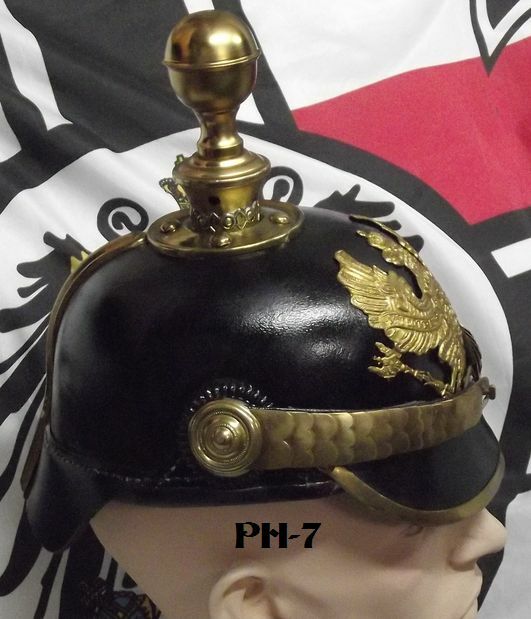 Beautiful Brown or Black early style leather flying helmet used in WWI & WWII, comes with all strapping and hardware great for any or all occasions.